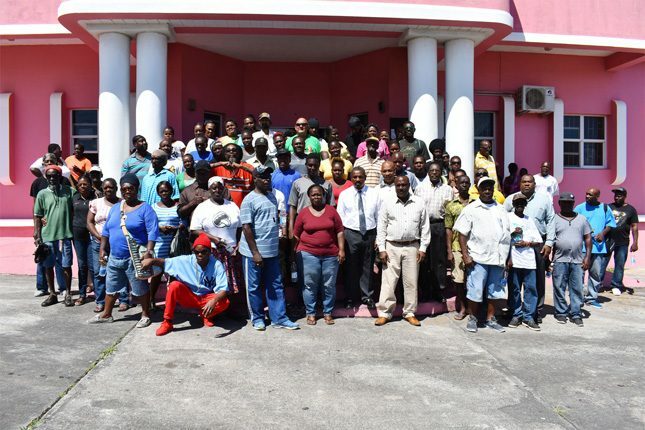 Mr Osbert DeSuza, Permanent Secretary in the Office of the Prime Minister (in tie), pictured outside the St. Paul’s Community Centre with STEP officials and workers. 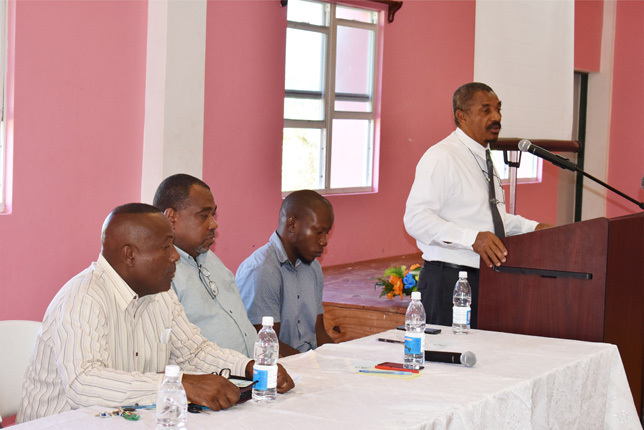 PS DeSuza addressing STEP Community Enhancement Workers in St. Paul’s. At the head table are from left, Mr William Phillip, Mr Emile Greene, and Mr Clive Nias. 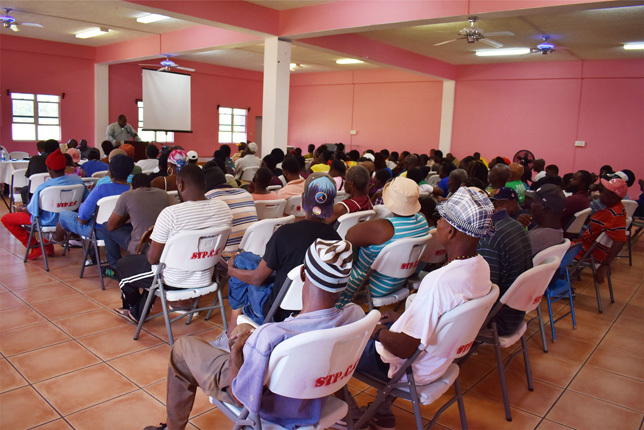 Mr Emile Greene, Acting Director of the Skills Training Empowerment Programme (STEP), addressing STEP community enhancement workers at the St. Paul’s Community Centre.